Team principal John Booth has hailed the progress that Manor have made so far this campaign, adding things are falling into place for next season. The 2015 season got off to slow start for Dinnington-based squad as they only got financial backing a few days before the first race in Australia. Although they made it to Melbourne, drivers Will Stevens and Roberto Merhi were unable to compete due to technical problems. One car finally made it out in the next race in Malaysia and actually managed to see the chequered flag, and it has been steady improvement ever since. 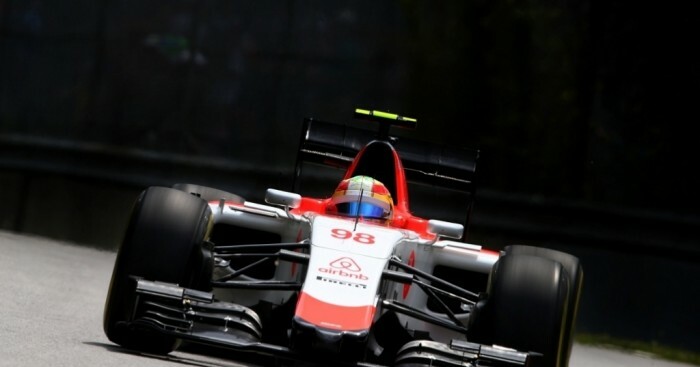 The team also managed to add new developments to the MR03B at the British Grand Prix at the beginning of July and Booth feels it is "all coming together". "It’s just unbelievable progress," he told F1i.com. "We are where we are and we’re not going to be fighting for position, but it was really rewarding to put the upgrade on at Silverstone. It did everything that the guys said it would do, which was really rewarding. "We’re now building up a really good technical team back at base with Bob [Bell], Luca [Furbatto], John McQuilliam of course and Tim Milne. "We’re getting a really good technical base together. We’ve been back in the wind tunnel for a month now with the 2016 car, so it’s actually all coming together, amazingly."